I’m thrilled to announce that my audio publisher, Tantor Media, has cast Justine Eyre to narrate both The Lost Letter and The Viscount and the Vicar’s Daughter. 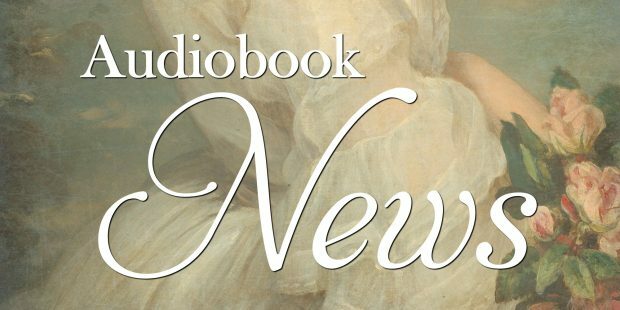 Justine has done the narration for some really fantastic historical romance and historical fiction authors, including Amanda Quick, Eloisa James, Sarah MacLean, and Tasha Alexander. She’s the actress I requested and I feel so lucky she’s agreed to narrate my novels. She has a thoughtful, intelligent, and emotionally sensitive voice which I know will be perfect for bringing my stories to life. If you’d like to hear a sample of Justine’s voice, here she is reading A Poisoned Season by Tasha Alexander. You can read Justine’s biography HERE. For her filmography, check out her IMDB page. She may have been on a few TV shows you might recognize! The audio book versions of The Lost Letter and The Viscount and the Vicar’s Daughter should be out by mid-June. I’ll keep you posted! Congratulations! I can’t wait to hear your wonderful books narrated! Thanks so much :) I can’t wait either!